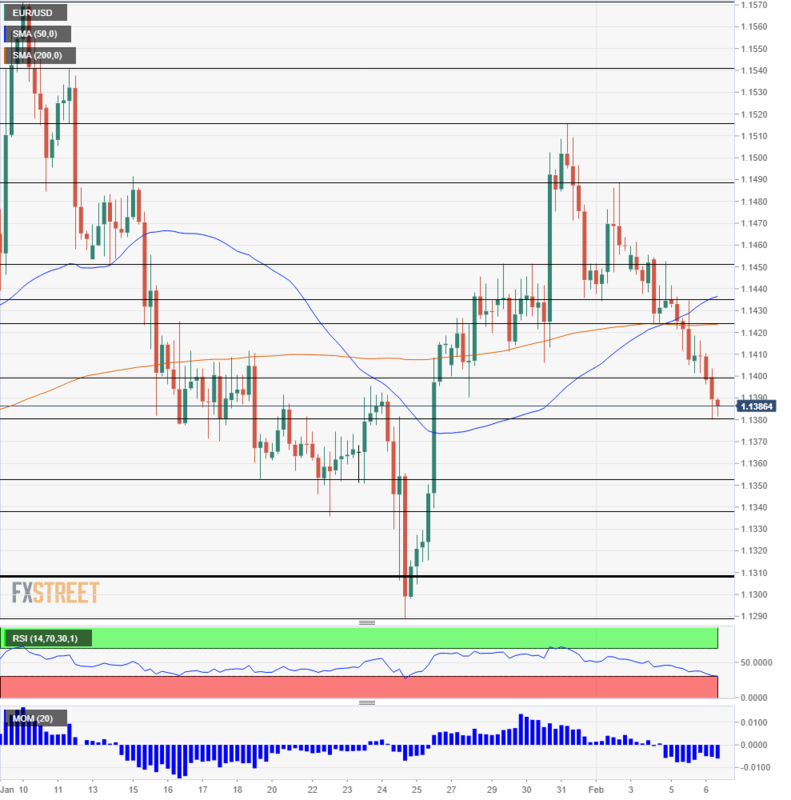 EUR/USD continues its downward drift, getting comfortable below 1.1400. Data missed on both sides of the Atlantic, but Europe looks worse. The technical picture points to oversold conditions. Initial support awaits at 1.1380 which is the recent low. A more considerable cushion is at 1.1350 which supported euro/dollar in mid-January. 1.1310 was a double bottom back in December, and 1.1290 is the 2019 trough recorded late in January. The round number of 1.1400 is a battle line. It supported the pair on Tuesday. 1.1425 served as a temporary cushion earlier this week and is also where the 200 SMA meets the price. 1.1435 was a temporary support line last week, and 1.1450 was a swing high before the fall. Climbing back may be hard with all this resistance.